Long considered lost until a complete dupe negative was identified in the vaults of la Cinémathèque française last year, this William Gillette film is a vital missing link in the history of Sherlock Holmes on screen. 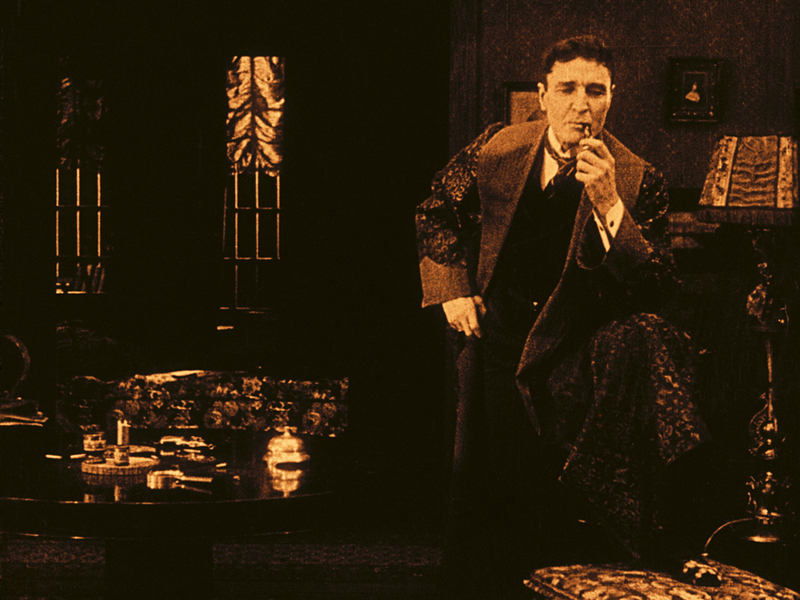 By the time it was produced at Essanay Studios in 1916, Gillette had been established as the world’s foremost interpreter of Holmes on stage—having played him approximately 1300 times since his 1899 debut. This newly-restored edition, thanks to the monumental efforts of both the San Francisco Silent Film Festival and la Cinémathèque française, represents the sole surviving appearance of Gillette’s Holmes on film. Presented with an original score composed and performed by Neil Brand, Guenter Buchwald, and Frank Bockius. 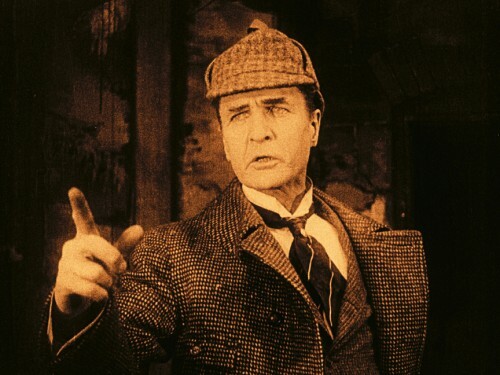 The film faithfully retains the play’s famous set pieces—Holmes’s encounter with Professor Moriarty, his daring escape from the Stepney Gas Chamber, and the tour-de-force deductions. 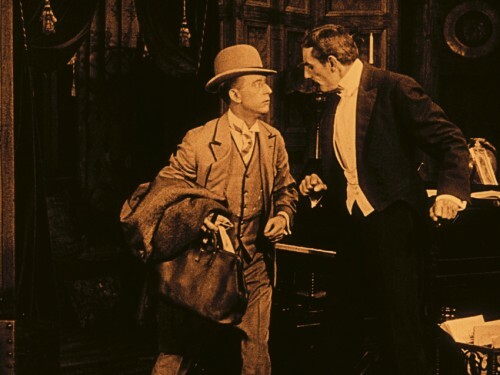 It also illustrates how Gillette, who wrote the adaptation himself, wove bits from Conan Doyle’s stories ranging from “A Scandal in Bohemia” to “The Final Problem,” into an original, innovative mystery play. 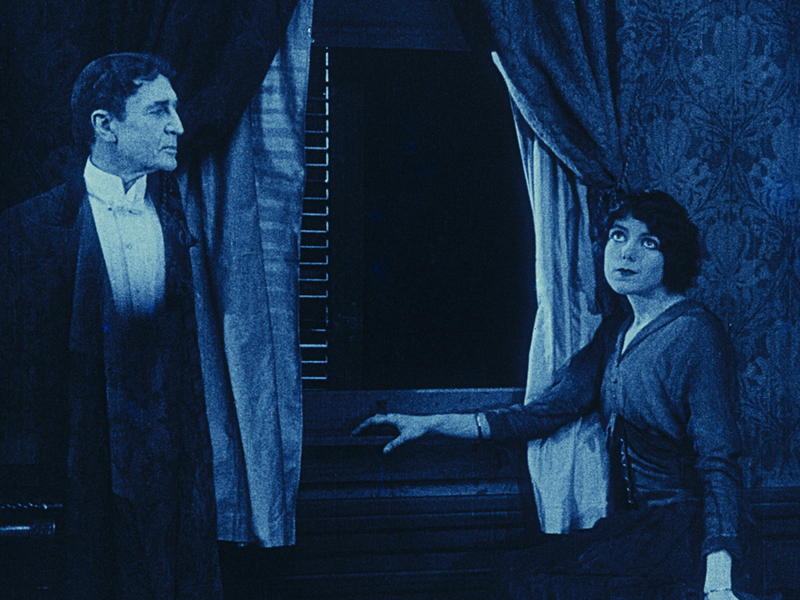 Sherlock Holmes (1916) is available on DCP, 35mm, and Blu-ray. 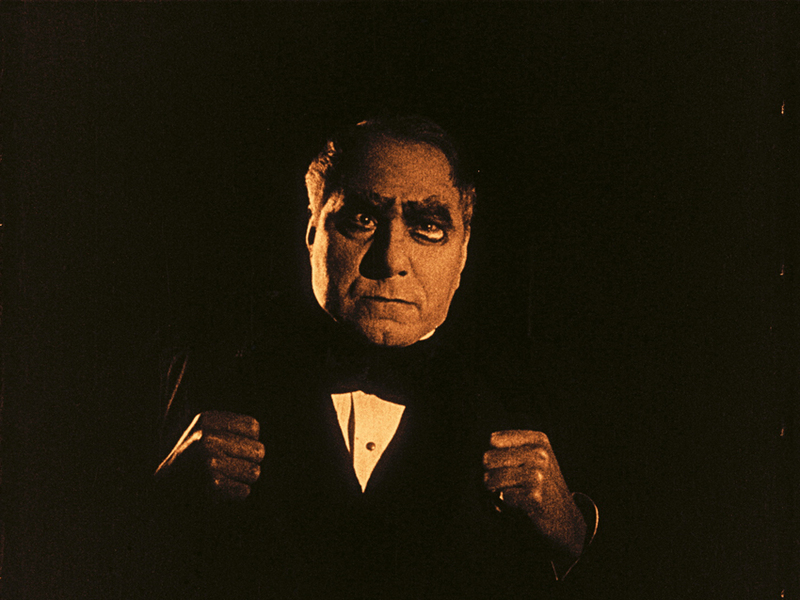 Click here to download a press kit and screening information. 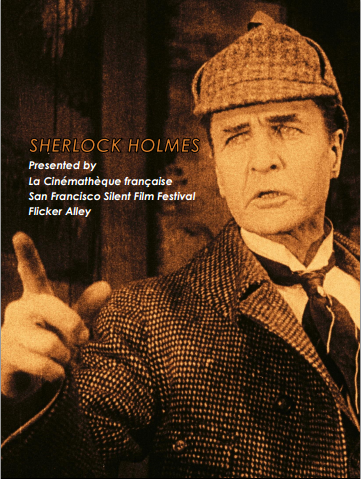 For more information about renting Sherlock Holmes for your theater, please click on the Request Screening button below. “It is old-school and up-to-date, weird and wonderful, puzzling and thrilling, wacky and delightful, hilarious, hypnotic, and thoroughly entertaining – in short, it’s just about everything one could ask for in a Sherlock Holmes film . . .
Click here to download press kit and screening information.